This is the place where pastors from every Christian denomination can harmoniously minister their callings and giftings to all who are thirsty, whether locally, regionally, nationally or internationally. he Christian Watercooler is not only a pastor's interdenominational and international ministry tool, but, meeting places for all believers to enjoy one another. Pastors Forum: This part of the forum is set aside for Pastors Only. A place to encourage one another and share insights. To obtain access to this private forum, please make request here. 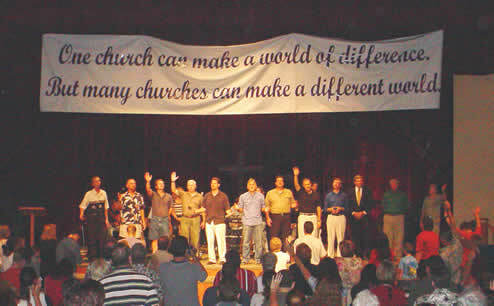 Regional Pastors Meetings: Pastors are coming together to bring unity to the communities. Resources: Links to many pastorial resources. Search: Our database is constantly growing. Check to make sure your church information is current.